Perception Funding recently received approval for an Ad Words Grant through Google for nonprofits. This grant is provided by Google to give selected nonprofits free Google Ad Words advertising, which are the short ads that show up on the right side of the page when you do a Google search. We were awarded $300 a day, which equals $120,000 a year, so this grant will provide us the opportunity to run a large amount of ads that will direct people to our website and promote giving. Sean has been running a few test ads and we are starting to see a small amount of traffic to our online giving platform, givetransform.org. It is our hope that in short time, we can utilize the grant to its full potential, and that it can be a blessing to Perception Funding and our Ministry Partners that are using givetransform.org. Sean has also applied for a Certified Citizen Refurbisher License from Microsoft. This license will allow us to purchase Microsoft Operating System software at a heavily discounted price. The reduced pricing will allow us to refurbish the computers that are donated to Perception Funding and our Ministry Partners and install genuine Microsoft software on them so that they can be used to benefit the communities we are in. The application is still pending, so pray that this license will come through and help us make a greater impact. 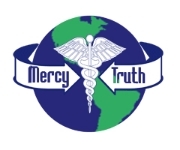 This summer we began a partnership with Mercy & Truth Medical Missions, who work to provide healthcare to the under served and uninsured in our Kansas City community and around the world. In Kansas City they have two medical clinics and throughout the year they take five to seven medical missions trips to serve needy people in developing countries. So far Perception Funding has built them a new website mercyandtruth.com and we are handling all their online giving through our platform givetransform.org. This fall we will be assisting them in raising funds for the renovation of a property that will become a birthing center, plus helping establish a plan to celebrate their 20th year serving those in need in our community and aboard. We will begin to renovate and move into our new office. Pray for a smooth transition, volunteers to help with projects, and for God's provision for any unforeseen problems. The week of September 22 we are going to Raleigh, NC to attend the Christian Community Development Association annual conference. At the conference there will be an event that will be about developing an international jobs fair. They have asked our ministry, giveDIGNITY to consider hosting this jobs fair in Costa Rica in the future. We are very excited to attend and feel the Lord is going to use this as a stepping stone for our ministry and a great opportunity to learn more. Give a special gift to help cover conference costs!